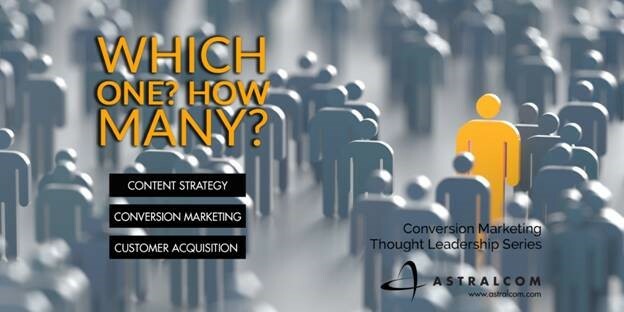 Why Measuring Cost-Per-Acquisition is Rarely Correct | ASTRALCOM - Content Strategy, Conversion Marketing and Customer Acquisition. Many times, once a client is up-and-running with advertising campaigns, the question arises as to value of the effort. The Cost-per-Lead, or Cost-per-Acquisition from paid search, social media, and trackable print efforts, too. In today’s market, these channels are indeed all measurable. But how do you measure the effectiveness of any channel and what key performance indicators (KPIs) should be watched? In this client example, below, the client-specified KPI was a combination of two primary metrics; Click-through Ratio (CTR) and Cost-per-Acquisition or Cost-per-Lead (CPA or CPL). Certainly, these are often the typical yardsticks by which campaign worthiness is measured. No. It’s not. Let me explain. As a messenger/marketer, would you not agree that our first job is to create attraction among targeted consumers and to make them take action, as a result of our message? Remember the Path to Purchase, as we go through this case study. • Results: 980,000 impressions, 964 referrals, 14 goal completions = 1.5% visitor-to-lead conversion rate; 1 sold home avg. price of $310,000. According to the client, the cost-per-acquisition (CPA) is $178.00 per lead. His math is as follows: $2,500 / 14 leads = $178 per lead. This is the understanding that most clients have. The client’s assessment was that the cost-per-lead was about 3-times more than what they wanted to pay. Their reasoning was that if the goal conversion is good, but the cost-per-lead is too high, that means the number of referrals is too low (CTR). The client suggested that if the CTR were 3-times what it was, then the campaign would be more productive and subsequently, the CPA would then be around $57 per. CTR – The Higher the Better? 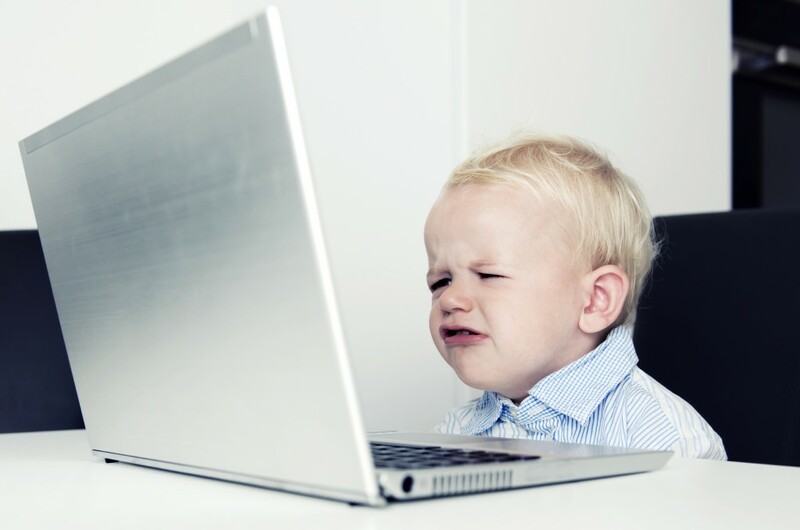 Is CTR the measure of the best traffic? • Referral Source #5 with .08% CTR, but the best goal conversion rate at 2.32% and the majority of conversions, but the worst CTR. These above sources had the lowest CTR and yet the most conversions. While the new conversion rate at 1.5% from this campaign outperformed all their other channels (.60% combined), conversion could still be higher. In PPC, the cost factor is usually cost-per-click (CPC) and in display, it’s usually cost-per-thousand (CPM). While CTR does effect CPC in paid search, not so in display. We proved that above, anyway. CTR is important in paid search because there are only 10 spots to occupy, so higher CTR is rewarded by lower CPC, thus gaining more traffic. In display, a similar metric for this is CPM, which in turn can be used to figure out a CPC. This campaign delivered 980,000 impressions, which is equal to 980 CPM units, divided by the campaign cost at $2,500.00 = $2.55 CPM. The definitive key performance indicator (KPI) is always the conversion. No matter what medium. Nevertheless, the KPIs for display advertising are different than that for paid search. Remember, most display ad campaigns are a brand awareness play first – it just so happens that our adZooks! program typically converts the most visitors, too. So, when looking at KPIs for display, the ones to follow, aside from conversions are page depth, time on site, bounce rate. 3. The sales team that converts the leads into sales. On this campaign, we’re only responsible for the first part and have no control or effect over the next two stages (website experience and sales experience). We know that driving traffic and delivering targeted referrals from the campaign is not the issue. So, let’s look at the next stage of the customer experience, after the advert is clicked; the website. We know that it takes this client 232 visitors to make one conversion. Is this high? From experience, we know that in other client cases, it takes a lot loss – in some cases significantly less – visitors to make one conversion. Because, in this case, we have no control over what happens when a referral lands on the client’s website from our campaign, let’s use Cost-per-Referral (CPR), instead of using Cost-per-Acquisition (CPA). It’s more accurate; especially because our efforts end once the consumer clicks the ad. If we want to achieve double-digit conversions, we’ll need to begin looking into the next part of the online experience – the landing scenario – to see if we can lift the conversion ratio. This means tweaking the customer experience on the website, or wherever the visitor lands after clicking the advert. There are certain and specific things inherent in properly developed conversion pages that help increase conversions. If done correctly and visitors are engaged, they will convert. That’s 2 of the 3 silos. Finally, once the lead has been passed to sales, marketing has done its job and sales can close the deal. That’s 3 of 3 silos and a new homebuyer. Given the perspective noted above, the real answer to the challenge presented by the client not in raising the CTR, it’s in increasing the conversion %. As such, the <cost per referral> would be a more appropriate measure of effectiveness for this type of effort. And that cost would be exactly $2.59 per referral.